Why is no one else talking about the fact that Hillary Clinton has been endorsed by a war criminal? 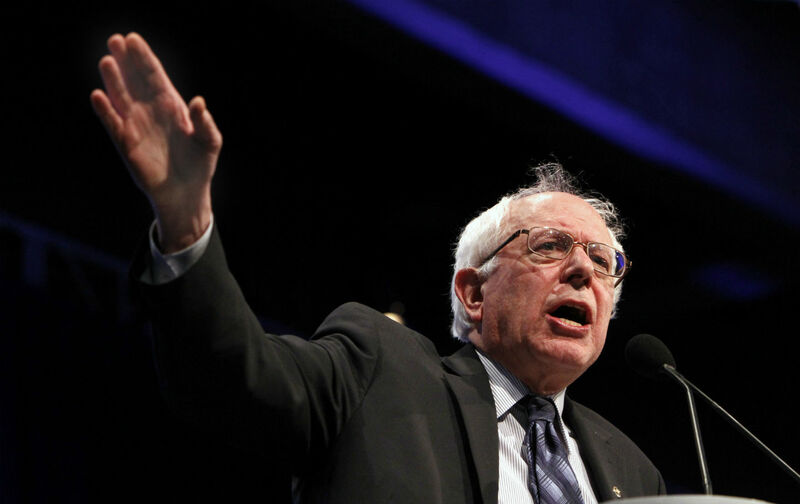 Over the last month, Bernie Sanders, in slowly cobbling together what might be called a “Bernie Doctrine,” has introduced a radical concept into American politics: the idea that history matters, that every effect has a cause. It seems a simple point—that actions taken in the past reverberate into the present—but it’s not. For America’s militarized brand of malignant exceptionalism is founded on the idea that the United States transcends history. That statement—that America believes itself exempt from the law of cause and effect—seems especially abstract. But the belief has a very concrete expression: a refusal to recognize the reality of blowback. Blowback, as many Nation readers are aware, was a term introduced into popular circulation by the late political scientist Chalmers Johnson, an old Cold Warrior turned dissident. Johnson said the phrase was first invented by the CIA to describe the “unintended consequences of policies that were kept secret from the American people”—the mayhem and murder that resulted from US actions abroad, including support for coups, drug runners, and dictators. The question of causality is complex. For some philosophers and physicists, time might not exist. And since cause-and-effect reasoning needs the concept of time—of one thing preceding another—the effort to establish causality is a mug’s game, an infinite regression of increasingly unanswerable questions. But in the everyday, finite world we live in, we, as sentient beings, need causality to make sense of things, to order our experiences, distribute resources and power more equitably, and create the conditions for a more humane and sustainable society. Hillary Clinton herself makes this point, using this quotation in her It Takes a Village as an epigraph: “We cannot live only for ourselves. Our lives are connected by a thousand invisible threads, and along these sympathetic fibers, our actions run as causes and return to us as results” (though she misattributes it to Herman Melville, when it is actually from the Rev. Henry Melvill, circa 1855). But US militarism depends on (and is responsible for, but that’s another argument) a disassociation of cause and effect, a refusal to consider how actions taken in one decade—the overthrow, say, of Iran’s prime minister, Mohammad Mosaddegh, in 1953—might produce an “unintended consequence” in another decade, such as 1979’s Iranian Revolution. There are different ways by which the oblivion that allows this disassociation is produced. I did a lot of work on declassified US documents, mostly memos and cables generated by the US Embassy in Guatemala City during the worst of that country’s political terror. And I was always struck by historical stupor of most foreign policy officials. Occasionally, there’d be a flash of insight, including the recognition that Guatemala’s death squads were in fact created and maintained by Washington policy. But then that official would be rotated out of country after his two-year post, with his successor once again portraying the death squads as outside of US control. Beyond institutional amnesia, a rejection of causal analysis is the existential rock on which American Exceptionalism sits. The United States’ unique sense of itself depends on an ambiguous relationship to the past. History is affirmed, since it is America’s unprecedented historical success that justifies the exceptionalism. Yet history is denied, or at least what is denied is an understanding of the past as a series of causal relationships. This is what allows the fiction that “we live only for ourselves,” and manifests itself, in its most virulent form, in the kind of know-nothing resentfulness that today dominates the American Right and Republican Party. The denial of history is also what allows for our habitual interventionism. The blowback from any given action (arming anti-Soviet jihadists in Afghanistan, for example) is rinsed clean of its source and given a new origin story, blamed on generalized chaos that exists beyond our borders, a laundering that in turn allows future interventionism. Competing conceptions of historical analysis and how they relate to US militarism are, ultimately, at stake in Bernie Sanders’s ongoing criticism of Hillary Clinton’s relationship with Henry Kissinger. Yes, Kissinger is a war criminal. Yes, Kissinger bears some degree of responsibility for the deaths of millions of people. That Clinton cites this man’s recommendation as a credential deserves loud and sustained moral outrage. More important, however, Sanders’s critique of Clinton-Kissinger allows him to confront head-on not just America’s imperial amnesia, but the philosophical defense of that amnesia. Most foreign policy officials and their pundit-scribes unthinkingly deny cause and effect. They don’t know what contributed to the rise, say, of political Islam, and they don’t want to know (we’ve just passed the 25th anniversary of the first Gulf War with nary a mention). They don’t have to conspire, or be taught how, to present the policies of the United States and the violence and disorder that exist in the rest of the world as entirely unrelated. It’s instinct. Kissinger is different. Born in Germany and educated in continental metaphysics, Kissinger, unlike others in the foreign policy establishment, is keenly aware of the stakes in different ways of thinking about the past. Kissinger thinks himself an historian. Yet he expressly rejects a historical methodology that stresses “causation.” He dismisses “causal” reasoning as a false, or lower-order and deterministic, form of comprehension, one that denies the true radical “freedom” of human existence. Kissinger does believe that the future can learn from past events, which he often invokes to make a point. But he is clear that the lesson should not come from an obsessive reconstruction of causal connections. Rather, he says, history teaches “by analogy.” And each generation has the “freedom” to “decide what, if anything, is analogous.” Conveniently, this “history as analogy” (as opposed to “history as cause-and-effect blowback”) is ready-built to justify evermore militarism: If you don’t like the lesson Richard Nixon and Vietnam teach, don’t worry about it. There’s always Neville Chamberlain and Munich. Kissinger was among the first, in 1990, to compare Saddam Hussein to Adolph Hitler. There are mundane reasons why causal history wouldn’t appeal to Kissinger, whose actions have “caused” their share of misery “effects” the world over, and whose policies in Saudi Arabia, Iran, Pakistan, and Iraq helped produce the current cataclysm in the Middle East. Great statesmen (or women) have a responsibility to act, Kissinger has repeatedly insisted. They can’t be weighed down by the burdens of the past, or become imprisoned by the chains of cause and effect. They need to confront, to stem, to combat, to seize, to bend, to stand athwart history and steer its course. And they can only do that if they realize their freedom of action, and do not succumb to causal determinism. “Those statesmen who have achieved final greatness did not do so through resignation, however well founded,” Kissinger wrote in his 1954 doctoral dissertation; “It was given to them not only to maintain the perfection of order but to have the strength to contemplate chaos, there to find material for fresh creation.” Let reporters and academics dig up facts that show how, say, Kissinger’s support for the shah in Iran and arms sales to the Saudi regime radicalized the region. When that radicalization causes a crisis that threatens the interests of the United States, its leaders have a moral responsibility to act, to refuse to be paralyzed by either the fact or the fear of blowback. I do not believe a vote in 2002 is a plan to defeat ISIS in 2016. It’s very important we focus on the threats we face today, and that we understand the complicated and dangerous world we are in. When people go to vote in primaries or caucuses, they are voting not only for the president, they are voting for the commander in chief. And it’s important that people really look hard at what the threats and dangers we face are, and who is best prepared for dealing with them. Kissinger couldn’t have said it better: Never let yesterday’s catastrophe stand in the way of tomorrow’s intervention. SANDERS: I think the kind of regime change the United States has brought forth over many, many years has been counterproductive, all right? It’s not the war in Iraq and the overthrow of Saddam Hussein, that was a terrible mistake, leading to where we are today. MATTHEWS: We were wrong about it. we ended up with Khomeini? All right? We overthrew Salvador Allende in Chile, who was elected democratically. And you know what we ended up with? A lot of anti-American sentiment in Latin America. So, what foreign policy is about is not just power. It is judgment. I think we got to be a little bit careful about regime change. Hillary Clinton sees as a mentor of hers, Henry Kissinger. So, let me be very clear: I do not see Henry Kissinger as a mentor of mine. I think he was one of the worst secretaries of state in the history of this country. MATTHEWS: Well, let’s add to the list, Arbenz down in Guatemala. MATTHEWS: Let’s talk about that. Let’s talk about Trujillo. We had something to do with that baby. SANDERS: You got it, man. got to get rid of Bashar Assad.” What do you do? SANDERS: You stand up to them. Look, you’re absolutely right. The war drums for the war in Iraq, I remember like it was yesterday. Whatever the outcome of the Democratic primary campaign, considering American Exceptionalism’s memory hole, remembering anything at all “like it was yesterday” is a radical act.